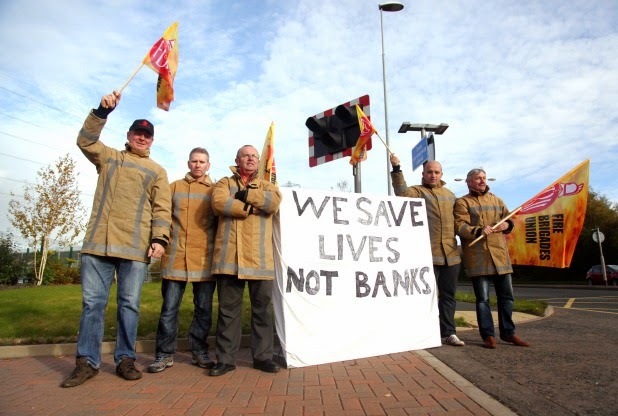 Firefighters at Sandyford Fire Station marched out at 6pm to set up their picket line. They received marvellous support from passing motorists honking their horns. Even ambulances with blue lights flashing hooted support. TUSC supporters handed out leaflets at Sandyford, Hanley, etc fire stations with a message of support from TUSC national chair Dave Nellist. Firefighters will lose around £600 of pay due to the strike. The National Shop Stewards Network appeals for hardship collections to be taken to local fire stations in support of the dispute.